After a long night of electing and knitting we've ended up with a hung parliament (huzzah no Tory majority) and I've ended up with 4 completed swatches thank you david dimbleby for being my knitting/ election entertainment. 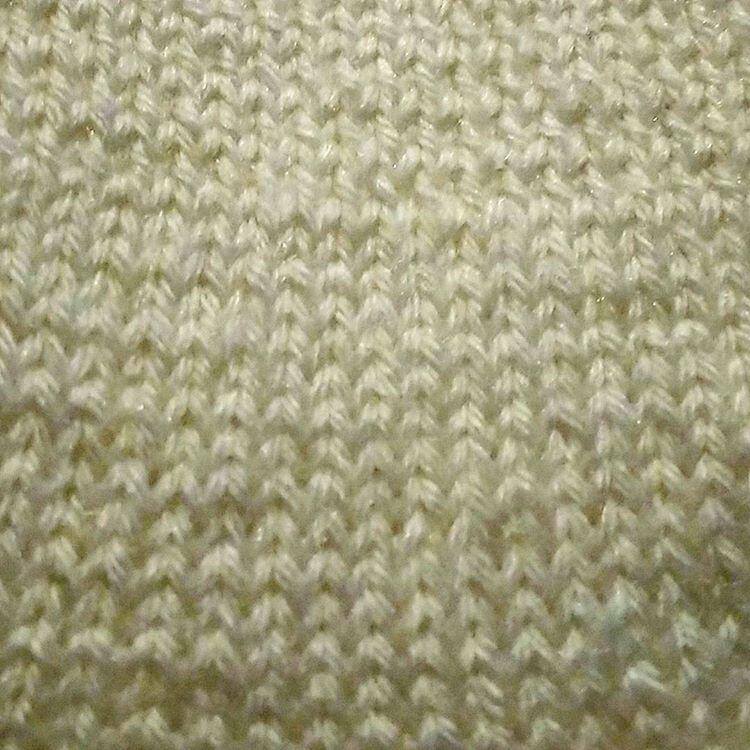 The next basic stitch is stockinette stitch also known as the plain sweater stitch this is often the first stitch people learn when knitting, this stitch unlike garter stitch is not the same on both sides. 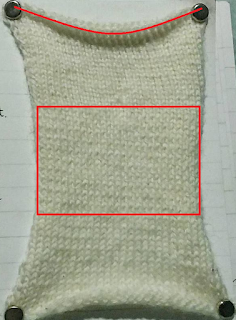 On the RS of the work the stitches form interlocking V's on the reverse or the purl side the fabric resembles a tighter garter stitch. Also unlike garter stitch the fabric has a tendency to curl when worked flat (not so much in the round). 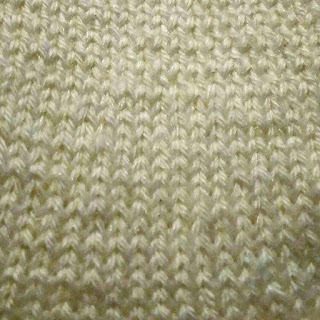 Above is a close up on the stitches where you can see the clear V shape at the top the stitches are crossed at the bottom the stitches are knit and purled normally. 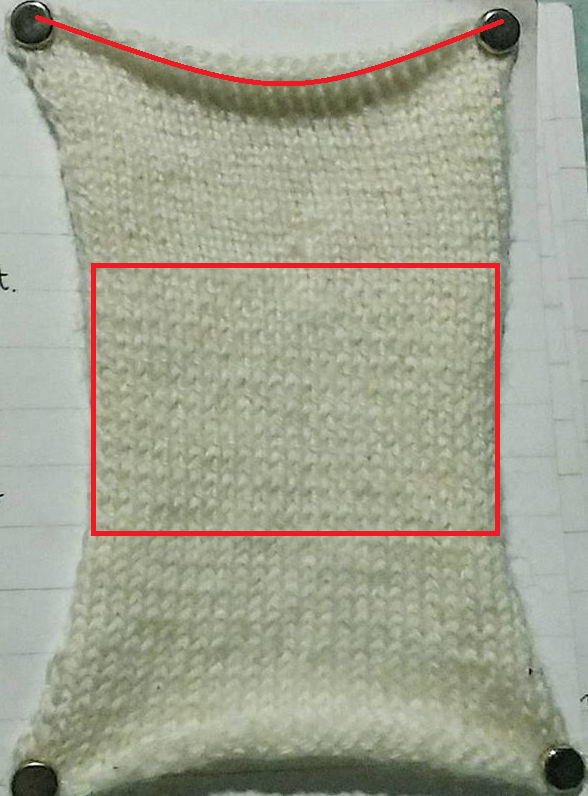 The above image shows 3 forms of stockinette stitch, plain, crossed, and twisted (in order from the bottom up the red box shows the change in stitches) as you can see the fabric tends to curl inwards (see the curved red line). That's todays stitch! Phew that was a long one! 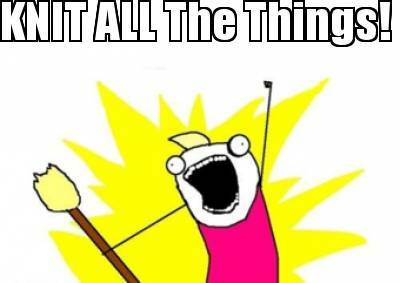 now go knit!